Living a healthy lifestyle is about more than just eating lots of veggies or doing yoga a couple of times a week. 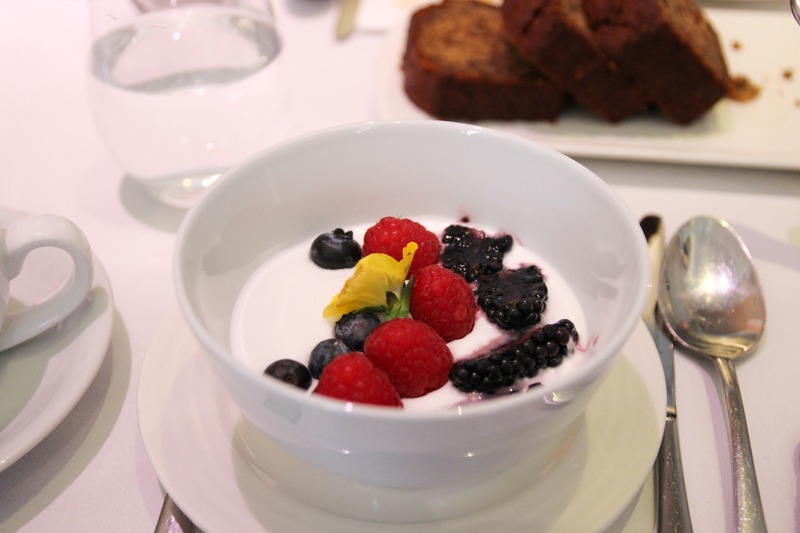 To live a healthy lifestyle you have to take care of your mental wellbeing as well as your physical, and that’s what we learned at a recent brunch at Villandry Café. 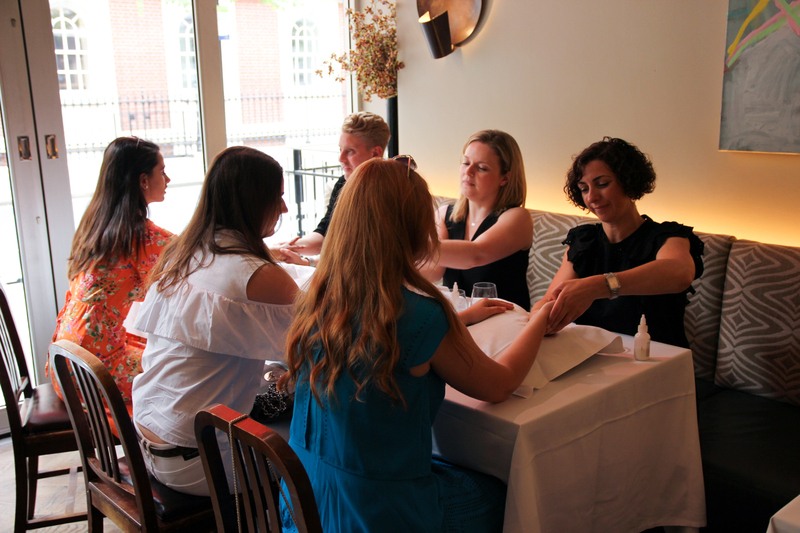 A collaborative effort between Aveda, T Balance and Nina, the breakfast began with relaxing hand massages courtesy of the beautiful Aveda therapists. Once seated among a gorgeous spread of fresh fruit, natural yogurt, granola and vegan banana bread, Antonia David from Aveda led us in a calming meditation. We then moved on to talking about each chakra and how to visualise and balance them. Aveda offers a range of mists carefully designed according to the ancient healing art Ayurveda, and we were given the heart chakra mist. Made using Australian sandalwood, mandarin and palmarosa, you can mist it in the air, on your pillow or directly onto your chest as you meditate or practise yoga. After doing this, it’s important to visualise a green light filling up your heart centre to help balance it. It’s best do to this in cobra pose to help open your heart chakra. When it comes to eating, leafy greens, broccoli, peas, avocados, green peppers and mint all help keep your heart chakra balanced. Tori from T Balance believes in holistic health care, or listening to your body and using natural healing methods to reach your full potential. She gave us a handy tip: whenever you’re feeling really nervous, or stressed, plant your feet firmly on the ground and imagine roots growing out of them, securing you to the earth. Tori gives one-on-one life coaching sessions, helping people be the best people they can be by making a few changes to their lifestyle, teaching them techniques that help them love and respect themselves. Nina (@antoninaparker on Instagram) is a chef who is all about balancing your chakras through food. She believes in eating plenty of fresh fruit and veggies, and always working with what’s in season. Like the rainbow of chakras, she loves to see a rainbow of different ingredients on a plate, everything from beetroot to carrot to kale, and promotes ‘fast food’. Fast food to Nina means easy, healthy but tasty food you can whip up in minutes using a combination of ingredients you already have at home and fresh fruit and veggies from the supermarket. By combining complementary vegetables together with a super tasty dressing, you can make a nutritious and delicious meal in moments. Nina has released two books, one focusing on the local diet in Capri and one on San Tropez. You can find out more about them here. In a world where we’re so caught up in technology and modern medicine, sometimes it’s worth going back to our holistic routes. Next time you’re feeling stressed or overwhelmed, perhaps try some light meditation or yoga and focusing on your chakras. You might be surprised at the result.